Dr.Malpani's Blog: How we make IVF patient's lives easier ! Being infertile can be hell , and going through an IVF cycle just adds to this stress. You have to make multiple visits to the clinic, you have to take daily injections, you have to wait to see the doctor, you have to wait for your scans, you have to wait for your blood test results to come back, you have to wait to find out how your follicles are going , you have to wait to find out how many eggs they got , you have to wait to see how good your embryos are - and finally you have to endure the 2ww to find out if you are pregnant or not. Because it's such a complicated, intricate process and there's so much uncertainty, going through an IVF cycle can add a lot of misery to the poor infertile couple's life. intuitive , because most patients feel that the only way of doing a consultation is a face-to-face consultation, but times have changed and so has technology. The reality is that most IVF treatment plans are based on medical test reports, such as the sperm count, the ultrasound scan reports, the antral follicle count, and the hormonal blood tests, such as AMH , FSH, LH, prolactin and TSH. A clinical examination provides very little additional value to an IVF specialist. I can review all of these results efficiently and effectively by email , so I can pretty much chart out the treatment plan for the patient based on her medical test results , without actually ever having to see her. This makes the patient's life much easier as she does not need to make multiple visits to the clinic . We create lots of free tools such as IVF calendars and we have a really well-organized process, which is transparent and open . We share this with the patient so they know exactly what's going to happen and when it's going to happen. There are no unexpected surprises and this allows them to organize their life. We don't change the treatment plan on an ad hoc basis , and having this clear structure in place help the patient to trust us. They can see that we know what we're doing , and this increase their confidence levels. I make it a point to answer all my emails myself and I answer them quickly, efficiently, and promptly so that patients know that their queries are being answered by the IVF doctor himself , and that they will get a reply ( usually within 24 hours). This way , patients don't have to play telephone tag, and I can review all their records before replying. The signal to noise ratio of our communication is very high , and because everything is documented it's much easier for patients to follow the right process. This way they don't have to waste time commuting to see me; or waiting in my clinic , because I can answer their questions efficiently . We encourage our patients to ask as many questions as possible - and I tell them, "The better the quality of your question, the better will be the quality of my answer." Quite honestly, most of these questions have already been asked by some other patients , and they'll be able to find these answers on our website, which now has over a thousand pages of information on IVF, which we think every patient needs to know. We continue exploring technological advances and have now created the world's first IVF treatment app called 'My Fertility Diary'. 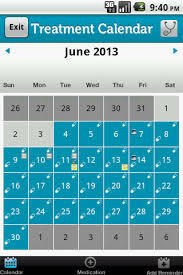 After downloading this app , patients know exactly what's going to happen when during their IVF cycle so they can schedule their appointments and carry on with their life, without adding to their stress levels. We think being a good IVF clinic doesn't just mean providing high quality medical care. It also means taking a holistic picture , and trying to make the patient's life as easy and comfortable as possible , and we pride ourselves on being able to skillfully and compassionately hold our patient's hands during their journey to becoming a parent.